Canadian transportation conglomerate TFI International reported a sharp increase in profits on revenue that was essentially flat in the first quarter of 2018. The Montreal-based company said it earned C$50.8 million, or 56 cents a share, on revenue of C$1.2 billion in the three months ended March 31. That compares with adjusted net income of C$32.9 million, or 32 cents a share, on revenue of C$1.2 billion in the same period a year ago. Profits increased in all of the company’s operating segments, with the biggest gains coming in the package and courier sector, followed by truckload, logistics and final mile and less-than-truckload. Revenue of C$26.5 million from acquisitions and C$20.2 million from fuel surcharges in the first quarter were offset by a negative currency impact of C$22 million and decreases in the LTL and logistics and final-mile business units. TFI operates throughout Canada, the United States and Mexico. 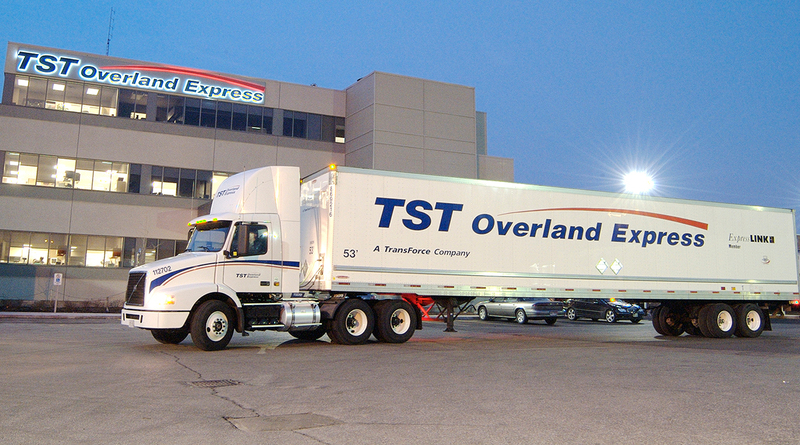 Its U.S. operations include truckload carriers Transport Corp. of America in Eagan, Minn., and CFI in Joplin, Mo. In the package and courier segment, TFI reported operating income of C$20.6 million in the first quarter of 2018, a gain of 32% from C$15.7 million in 2017. Revenue of C$142.4 million was down 2% from C$145.6 million a year ago. For the LTL segment, TFI said operating income was C$9.5 million in the most recent quarter, a gain of 5% compared with C$9.1 million a year earlier. Revenue was C$203.6 million, down 9% from C$224.6 million in 2017. The truckload segment generated operating income of C$29 million on revenue of C$490.7 million in the most recent quarter. That compares with earnings of C$14.8 million on revenue of C$489.7 million a year ago. Results for the logistics and final mile segment are broken out for the first time and it shows operating income of C$15 million on revenue of C$236.6 million in the first quarter of 2018. That compares with earnings of C$12.3 million on revenue of C$245.6 million in the same quarter in 2017. As a result of a rebranding of the Dynamex and Hazen Final Mile businesses to create TForce Final Mile in 2017, TFI said it incurred a charge of C$13.2 million for impairment in the value of intangible assets. Company executives expressed optimism about the future. TFI ranks No. 10 on the Transport Topics Top 100 list of the largest for-hire carriers in North America.